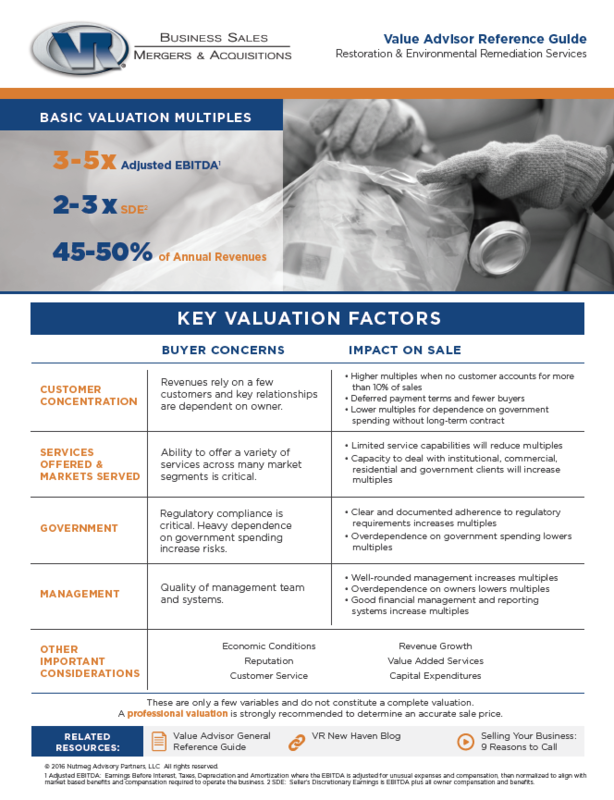 Over 30 business valuation reference guides are now available in our Value Advisors Library. View, download or print the right guide for your industry. Our latest Value Advisor publications include: Research Firms, Managed Services Firms, Precision Metal Stamping, Restoration & Environmental Remediation Firms, and Electrical Contractors. 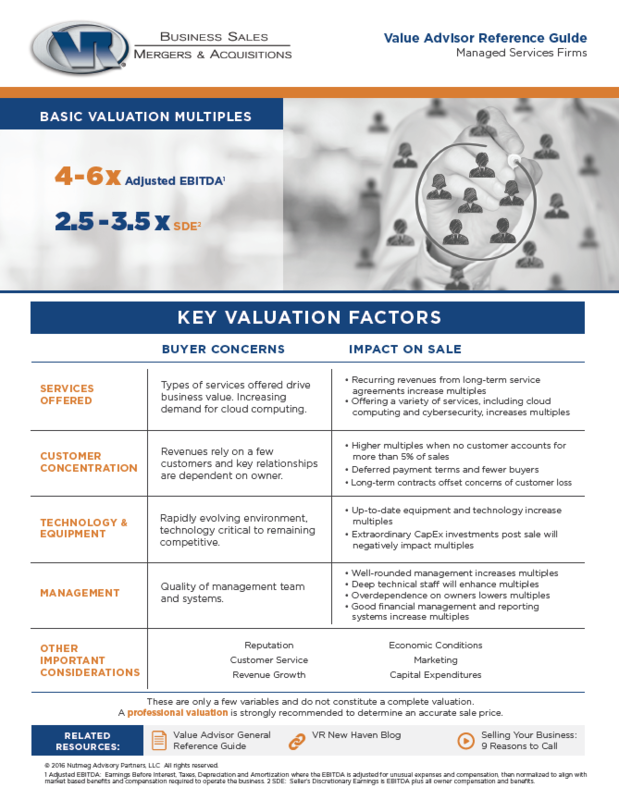 This is a series of reference guides with industry-specific information on how companies are valued and key factors affecting final sale price of a business. 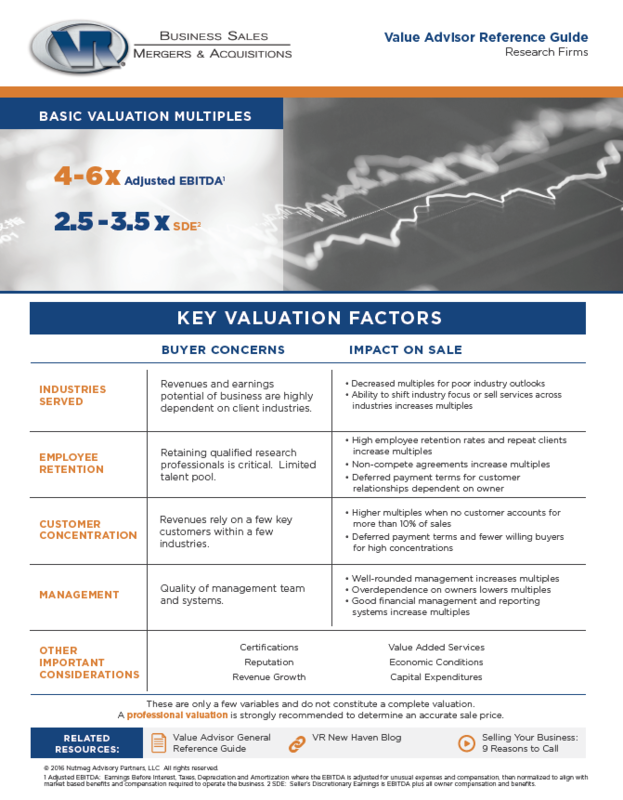 Our team created these guides to breakdown valuation multiples and key buyer considerations into a simple, easily digestible format. 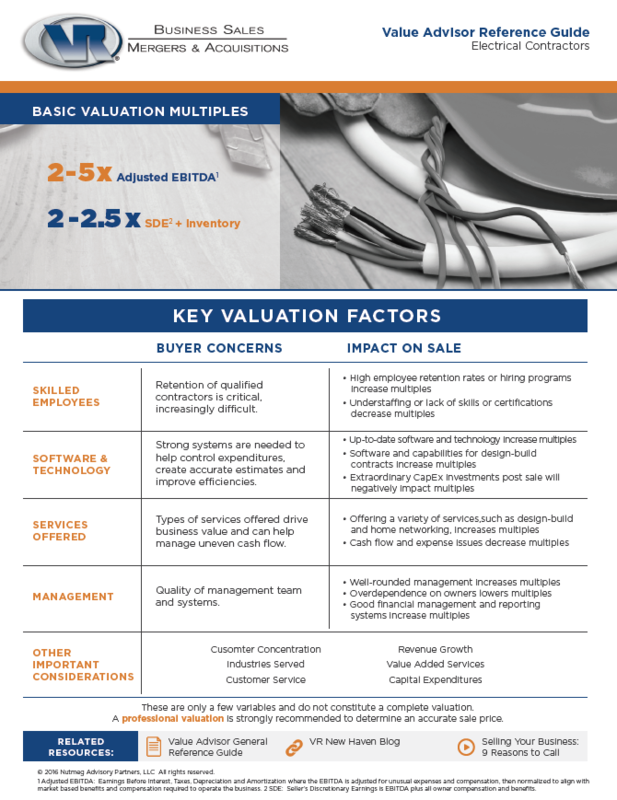 The series also includes a general guide regarding the six key business valuation factors. 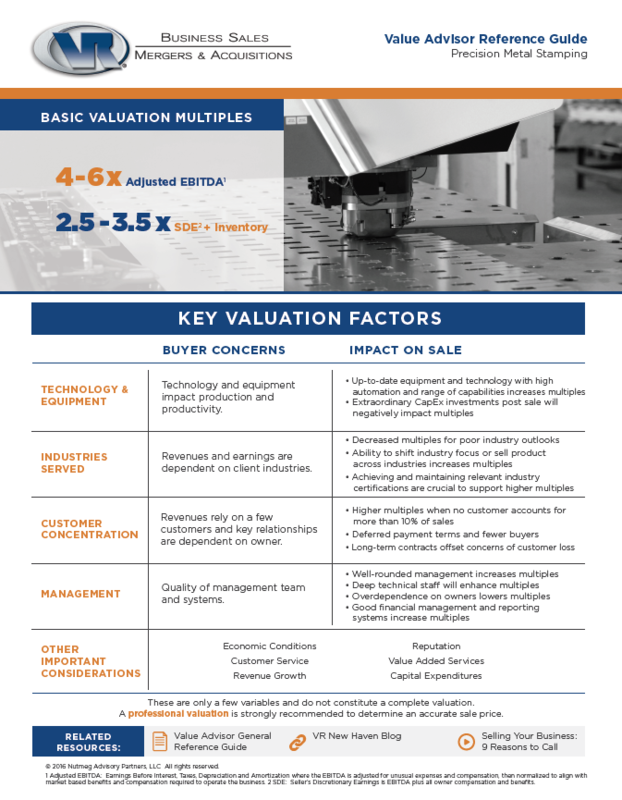 The purpose of these materials is to assist business owners with identifying areas of improvement that will ultimately increase company value, as well as enable owners who are ready to sell a business to set realistic expectations on a sale price. These are only a few variables and do not constitute a complete valuation. A professional valuation is strongly recommended to determine an accurate sale price. Contact our business valuation advisors today.